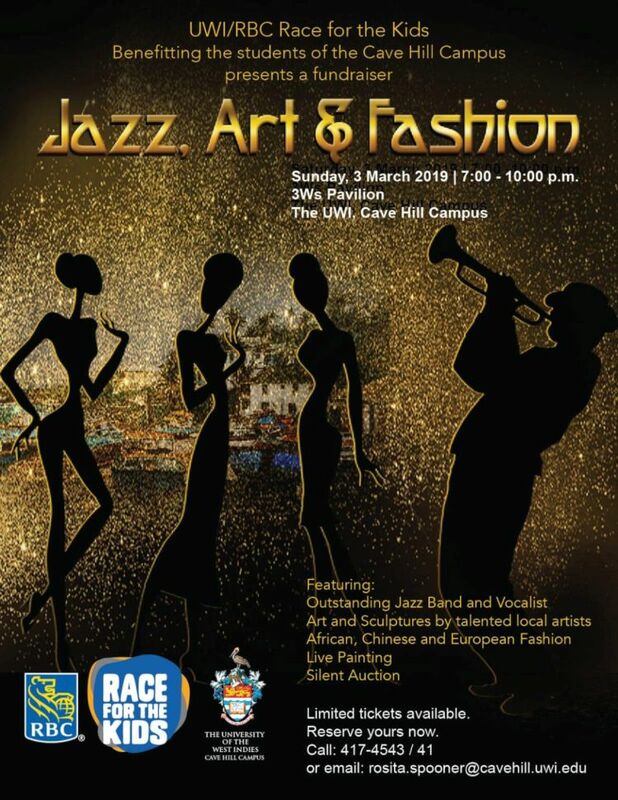 RBC Royal Bank (Barbados) Limited's RBC Race for the Kids Fundraising Committee, in collaboration with The University of The West Indies, present Jazz, Art and Fashion. Under the patronage of Pro Vice Chancellor & Principal of the Cave Hill Campus, Professor Eudine Barriteau, and Managing Director of RBC Royal Bank (Barbados) Ltd., Mr. Robert de Silva. 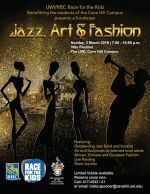 It will be an evening of smooth jazz featuring outstanding musicians, artists and fashion designers. Live Performances by vocalist Shanice Wilson and the Arch Hall Jazz Ensemble. Live Painting by Maurice Forde. Sample fine wines, cheeses and other refreshments. Door prizes to be won. All proceeds go to the First Year Experience (FYE) Program and the Cave Hill Campus Scholarship Fund. For tickets, email rosita.spooner@cavehill.uwi.edu or call 417-4543/41.